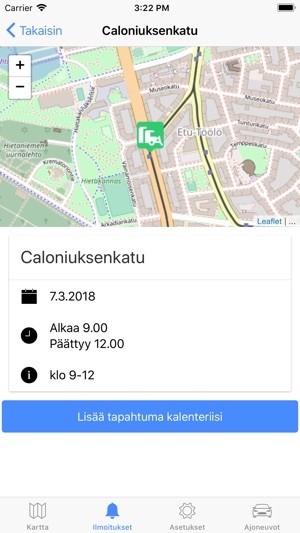 wenty Hexagons and the City of Helsinki are piloting a new service SiirtoSoitto that notifies to car owners when their car should be move during the street cleaning. 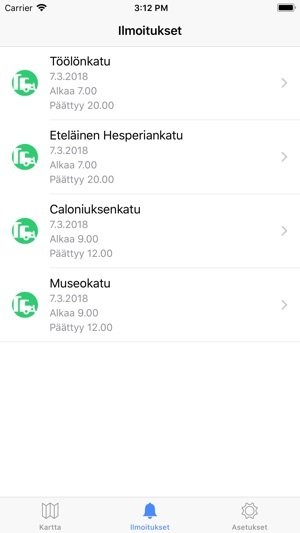 SiirtoSoitto functionalities are now available in all areas of Helsinki. 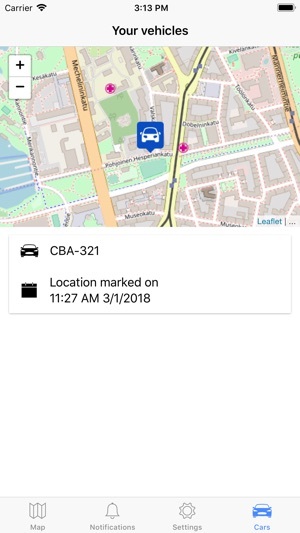 •	an automated phone call when the maintenance work are about to start if their car is in a parking restricted area. By quickly reacting to the call, car owners may be able to move their car and avoid the towing fees imposed by the City. •	information about their car's new location, had it been towed during the works. 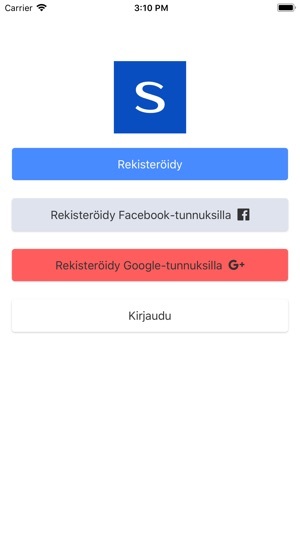 Getting started is really easy: insert your phone number and the your car license plate and choose the areas you are interested in receiving notification about. As less car need to be towed, the cleaning work is faster and cheaper, and car owners are spared from the fees. 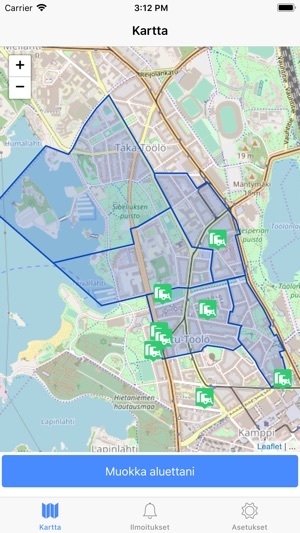 City of Helsinki Urban Environment Department and Stara are responsible for the street cleaning. 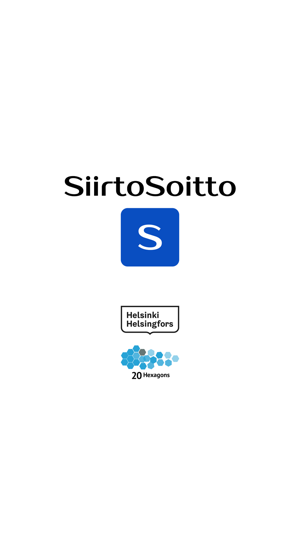 Please remember that ultimately you always needs to comply with street signs and regulations - SiirtoSoitto is just a reminder. Download the app and help developing the world's most efficient city.